For most of the past four decades, it has been one of the fundamental laws of British politics that you don’t win elections by being perceived to be anti-business or anti-aspiration. Labour’s series of defeats between 1979 and 1992 were put down at least in part to its inability to shake-off the perception that its high tax, pro-union leanings were inimical to the interests of Britain’s wealth creators. And it is why, in 2015, the Conservative Party – aided by certain sections of the press – is expending large amounts of energy seeking to portray Labour’s current leader Ed Miliband as an unreconstructed leftie who has forsaken Mr Blair’s business-friendly agenda. If the old iron law still holds true, then in all probability David Cameron will be re-elected as Prime Minister on 7 May, possibly even with the outright majority that once looked beyond his reach. But what if, as Mr Miliband clearly believes, something has changed? What if, contrary to the maxim that has held true since the mid-70s, there is now actually some political mileage to be gained from being seen to be, if not anti-business, then certainly anti big-business? This is what Mr Miliband is gambling on as he seeks to turn the HSBC tax avoidance scandal to his political advantage. At the very moment when falling unemployment and rising wages have enabled the Tories to gain a slight lead in the opinion polls, the Labour leader hopes his attacks on rich tax avoiders will put him back in the game. As the BBC’s Nick Robinson has pointed out, Mr Miliband has never wavered in his belief that the rules of engagement have fundamentally altered since the banking crisis of 2008. “The Labour leader believes that the great crash changed the public mood for good. Victory, he believes, will go to whoever can surf the wave of public anger with the establishment - whether bankers, energy firms, media moguls or rich tax avoiders,” he said. It all plays nicely into the Labour leader’s strategy of seeking to portray the Tories as remote and out of touch while presenting himself as being on the side of the ordinary person. But of course, Labour is still at pains to avoid any of this being perceived as a generalised attack on business or aspiration per se. It is why, for instance, Shadow Chancellor Ed Balls was out and about in the North-East this week, seeking to promote Labour’s plans to cut business rates for 70,000 business across the region. 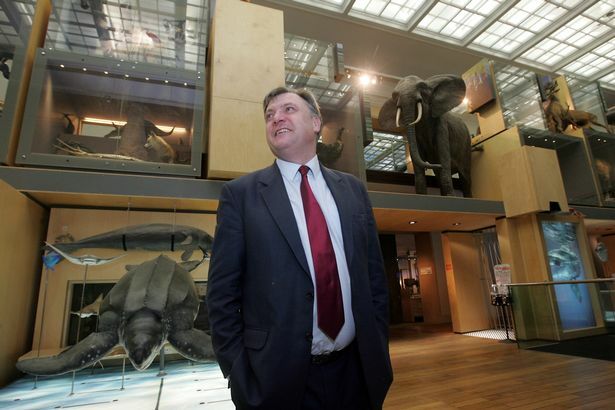 WITH VIDEO....Shadow Chancellor Ed Balls who was at the Great North Museum in Newcastle to take part in a panel discussion on business investment. Mr Balls evidently also views what he termed “the biggest devolution programme ever” as part and parcel of its business-friendly approach, although for its part, the business community itself seems unconvinced. John Cridland, director general of the CBI, warned this week that “rushed backroom deals” over devolution could damage the region’s economic growth. But the elephant in the room in terms of the two main parties’ efforts to win the confidence of the business world is surely Europe. As far as most of the business community in this part of the world is concerned, Britain’s continued membership of the European Union is seen as vital to the region’s future prosperity. Yet the Tories’ pledge of an in-out referendum on British membership in 2017 has left, at the very least, a question mark against this. Mr Cameron has been forced to concede that, if he does not get the deal he is looking for on ‘EU reform,’ he may have to recommend a ‘no’ vote in such a referendum. So when pro-Europeans like Lord Mandelson fret about Labour being perceived as “anti-business” on account of policies such as the mansion tax, he is surely failing to see this bigger picture. Furthermore, support for Britain’s continued membership of the EU is something on which Mr Miliband and Mr Blair could – and should – make common cause. If being the most pro-business party is still what wins you elections, there is, on this basis, at least an argument to be made that the most pro-business party is Labour. It is an argument we can expect to hear more and more over the coming weeks.